A living gallery for artefacts and collections. In a green-belt Sydney suburb, the stately Wairangi House was redesigned using original proportions to create a stunning home that balances heritage features with contemporary style. 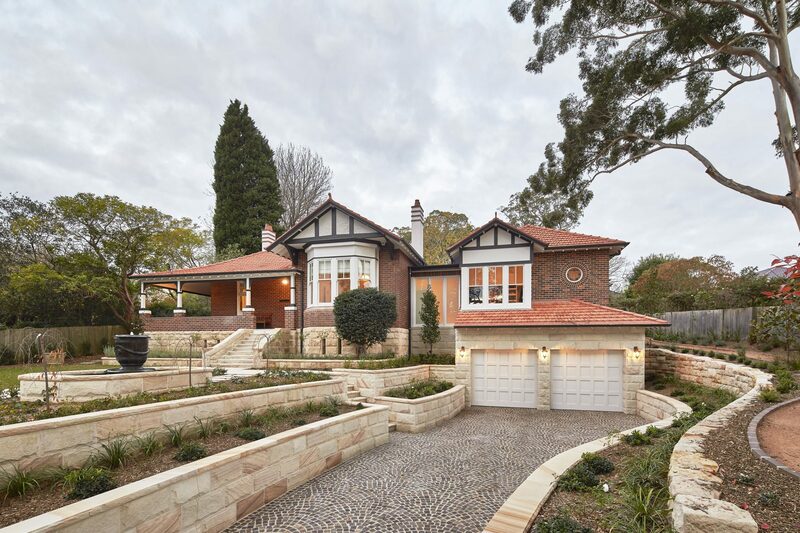 Its re-imagining starts with a grand entrance, where a new portico of Sydney sandstone leads through a terraced garden to the restored Federation facade. A grand entry hall then leads past the original study and lounge room to a seamless rear extension containing the expansive kitchen, dining, and living room. Here, two interconnected living spaces - a rear glass conservatory and an expansive covered patio – open out to the garden and pool area. The interior is further modified and extended to incorporate a generous main bedroom suite, guest rooms and a sewing workroom wrapping the internal courtyard. Detailing throughout reflects our clients’ fascination with domestic and industrial artefacts reaching back to eras well prior to the vintage of the house. Their collection, curated throughout the house, introduces fascinating architectural elements, such as the contemporary Venetian glass pendant lights in the kitchen complementing the living room’s original baronial fireplace. Similarly, Victorian era water pumps and a brass hand-basin bring character to the garden against the backdrop of hand-built stone walls and elegant landscaping.